Clients trust Wiedner & McAuliffe’s team of attorneys to provide them with the best defense possible in Governmental Liability and Civil Rights Defense Litigation based on our proven record of results. We have successfully defended police officers, cities, villages, school districts and other public entities and officials in matters involving governmental torts, constitutional and civil rights claims. Our attorneys have handled a wide array of litigation matters for local governments with a particular emphasis on civil rights litigation, police misconduct claims, state law tort immunity, school board legal matters, employment discrimination litigation and major tort claims. 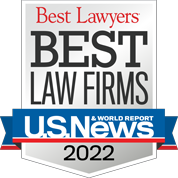 Wiedner & McAuliffe’s team of attorneys are recognized as leaders in the profession and are well-known within the legal community. In addition to litigation services, we provide practical advice to clients on loss prevention strategies, litigation management, minimizing litigation exposure and risk assessment. We frequently present at national conferences including the topics of tort, civil rights and employment litigation at Defense Research Institute (DRI), Claims Litigation Management (CLM), National School Boards Association/Council of School Attorneys, Illinois Association of School Boards, Illinois Municipal League and Illinois City/County Management Association.